The first two songs below are among the first songs that I ever wrote. The others were written while playing and living in California, Colorado and Minnesota. My musical roots go back to my grandparents on my Mom's side. My Grandfather and Grandmother met while playing in a string band in Ohio in the early 1900's. and a picture of my grandparent's string band hangs on the wall of my music studio. That guitar has a huge body and big, fat sound. I began playing music in 4th grade as a drummer in the school band. Thanks to several different Christmas presents I acquired a Slingerland red-sparkle-pearl drum set. I took drum lessons and played in school bands up to high school. The Beatles hit while I was in junior high and my friends and I immediately formed the Bishops. Like many kids, we wanted to be the Beatles. I was the drummer, but became interested in guitar. In high school I bought a Sears Silvertone acoustic guitar for $19.95. Later, with money from a summer job I bought a Gibson ES-335 and a Fender Deluxe Reverb amp. The guitar player in our band taught me some guitar chords. Annette Funicello, Hollywood, the Beach Boys, palm trees and the tropical Pacific Ocean. It turns out that the Pacific Ocean is not that tropical in California. in my dorm, Lloyd House, there was another drummer and no one else had an electric guitar. for our keyboard player, Steve (another Steve). He became a famous physicist who might yet win a Nobel Prize. Rusty, our drummer, got his Ph.D. in chemistry and became president of a Midwest university. in the West Point rock band (I guess the military academies had their own pro rock bands). After graduating from Caltech I began trying to make a living playing music full time. med students who somehow tolerated a bum sleeping on their couch. I was tired of LA and I wanted to see what living in the Bay Area would be like. I have always felt really drawn to San Francisco. I couldn't find anything promising in the way of music in the Bay Area. There has always been a lot of good music in the Bay Area, but I couldn't find a connection. So I changed course and headed to Boulder to visit my old Caltech roommate Gary. shared with other University of Colorado grad students. 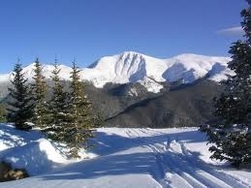 around Denver and the ski areas, including Vail, Steamboat Springs and Aspen. That was OK for a while, and I was making a living, but it still didn't feel right. Then I got involved with a new woman, Terri, and headed back to the Bay Area. I was living like a pinball, bouncing from here to there. I found my first really good pro gig playing bass with Ron in Bay Area clubs 3 nights a week. We played mostly high-end steakhouses and hotel lounges. Within 2 months we were playing 8 nights a week (2 gigs on Sundays). We had one weekly gig in Fresno where I didn't get home until 3 or 4 am. she was working during the day, and I was working at night. How many musicians have gone through that? Playing with Ron was OK for a while, but we weren't playing any originals. 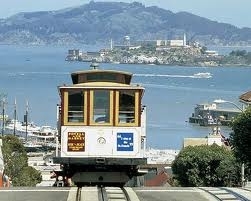 I moved from Palo Alto up to San Francisco after finding two other singer/songwriters, Pat and Tim. We played small clubs and did some street singing at the Cannery. Pat and Tim were really good, but Tim was kind of a drama king. Pat was a typical bass player, solid and stable. Tim was like a shooting star. Looking back I think he was probably bipolar. to visit some of his friends and play some music. One his friends, Jeff, was a really good singer. The three of us started sounding pretty good together after a day or two. The next thing I knew, Gary dropped out of grad school and I was packing to move to Minnesota. I remember trying to get my old VW van from California to Boulder to meet up with Gary. loaned me tools at night after their boss went home. It took me about a week to rebuild the engine. and his Wild Bunch used to hang out here. and imagined all kinds of spirits around the campfire. Under a moonlight night I explored the old rusting dome. somewhere a metal door was clanking everytime the wind picked up. I climbed the stairs up to the top of the dome and was met by an unfriendly bat. taking the stairs three at a time. I didn't sleep too well that night. I had one more small adventure before reaching Boulder. Somebody had stolen a blue VW van, just like mine, and I got stopped three times by different cops. They were a little harsh at first, but then apologetic when they realized that my van wasn't the stolen van. I sold the van and Gary and I drove his old Plymouth from Boulder to the Twin Cities. with true stories of Nikola Tesla. That was the first time I ever heard of Tesla. 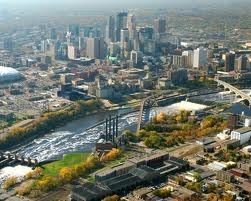 Gary and I finally made it to the Twin Cities. Jeff had found a drummer, Dan. We named the band Whiskey. See the Whiskey Poster and Letter PDF file below. We played a variety of covers: Allman Brothers, Clapton, Eagles, Grateful Dead, Jerry Jeff Walker. Gary took up the bass and I was able to develope my lead guitar skills. Gary, Dan and I lived in a fine old house in Saint Paul on a sidestreet off Como Avenue. The house had a lot of natural wood, stained glass and was on a tree-lined street. out through Vermillion and Custer in the Black Hills of South Dakota. That was the most stable band I played in. It lasted about a year and half until Jeff and Betty had a baby on the way. I sold my Les Paul guitar, bought an acoustic guitar and a one-way ticket to Europe. Each new sunrise brings surprise my way. Feeling really good. Possibly had been smoking pot. There are two versions of Boston Blue: one with electric guitar and one without. and to visit my previous girlfriend Kathy. Visiting Kathy was probably a mistake. Hitchhiking from Boston back to California. This was written to Terri. Oh God. Another song about Terri. I guess she had a hold on me. after a road trip to California. Not really sure whether I wanted to live in the city or the country. Was not finding love and feeling lonely. The Railheads with Linley Young and Andy Montiero on violins. Decided that I needed to find a gypsy girl. This was written for Gretchen. She was an unrequited love, because she was happily married to Mel. I don't think she ever knew I had a crush on her. Or maybe she did.